At Cavanagh Family Funeral Homes, we are a full service provider that can help you with all your funeral, cremation, or preplanning needs. As a family owned and operated funeral home, we put your needs first and always treat you with compassion and respect, just like you were a member of our family. Keeping your trust is our deepest commitment. If you live in or around the Darby area, we want to be the funeral home you trust to handle all the details for your loved one’s service. Our mission to provide your family with a fitting tribute centered on your loved one’s life. At Cavanagh Family Funeral Homes, we are pleased to offer a wide variety of options to personalize a funeral or memorial service. You can choose to include live music of any kind, a balloon or dove release, candlelight ceremony, a video tribute, picture boards, among many other things. Whether traditional burial or cremation works best for your family, Cavanagh Family Funeral Homes will help you create a farewell that honors the person you loved and helps you heal, all at prices that you can afford. Because we own and operate our own crematory, you will have peace of mind knowing your loved one will never leave our care if you choose our cremation service. Too many funeral homes in the Darby area and neighboring communities transfer the deceased to another business for cremation. 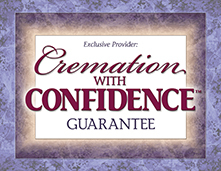 We assure you that will not happen when you choose Cavanagh Family Funeral Homes. Although there are many decisions you need to make, we assure you that we will guide you through the entire process. Our staff is kind, caring, and knowledgeable, and will carefully listen to your wishes and carry out your arrangements promptly and professionally. If you are a resident in Darby or one of the surrounding communities and have an immediate need, please contact us directly at 610-532-3120. Our professionals are available to answer your questions and discuss any of your concerns. We are here for you during life’s most difficult moments.